We’re only two weeks out from the first leg of the TIBCO NOW Global Tour, where we will be gathering in Singapore to discuss all things innovation! Here’s a sneak peek into who you can expect to meet, who you can look forward to learning, and what you can hope to come away with. Brilliant business and tech leaders from all over the region will come together at TIBCO NOW, so there’s no better time to make new contacts. Along with top TIBCO executives, IT leaders and engineers, the conference will be buzzing with industry professionals. Leading sponsors include Infosys, Microsoft, CIPL, Integration Matters, PhinCon, Cognizant, and HCL, as well as a number of exhibitor sponsors who are all eager to connect. TIBCO NOW isn’t only about talking shop, we’ve scheduled in time to socialize, too. Each day concludes with a networking opportunity, giving you the chance to relax, greet new and old acquaintances, and talk as much or as little business as you’d like. TIBCO NOW is the place to be if you want to learn how to stay relevant in your digital business. 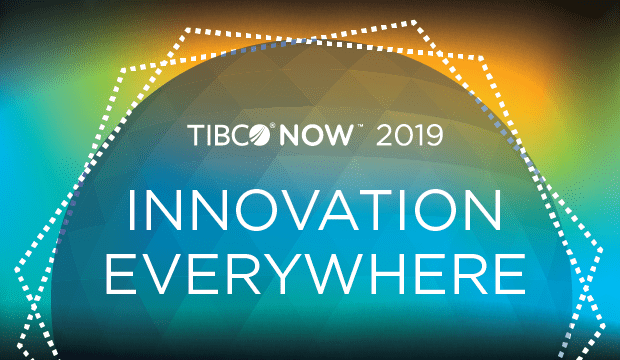 You are going to want to grab a front-row seat in the General Sessions, where you will be the first to learn about TIBCO’s new products launches. We’ve also got 40 breakout sessions designed specifically for you, where the brightest minds in tech will share with you everything there is to know about accelerating innovation. The agenda is also packed with interactive learning opportunities, including hands-on labs and TIBCO Certified Professional Program exams. Hear all about how your peers have transformed their digital business, then create your own solutions with the help of our product experts. TIBCO NOW will stay with you beyond your two days in Singapore—it’s a catalyst for inspiring a life-long digital transformation. TIBCO is dedicated to enabling better business decisions and faster, smarter actions. 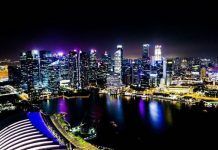 Take advantage of everything this conference has to offer, and leave Singapore with the tools to interconnect everything—from APIs and systems to devices and your people—and the ability to augment the intelligence of your business via analytical insights. 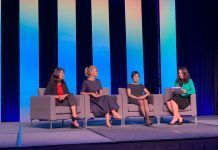 You will leave TIBCO NOW with renewed inspiration to lead innovation and make an impact in your company and in your community. 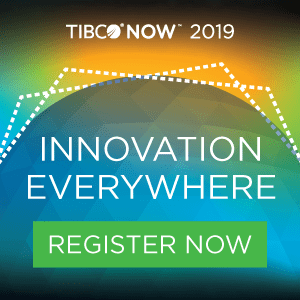 For more information on the 2019 TIBCO NOW Global Tour or to register, please visit now.tibco.com. 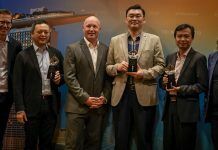 Before you arrive in Singapore, make sure to join the TIBCO League, a new online community that will allow you to connect and collaborate with customers, developers, and prospects at TIBCO NOW and beyond!